Come late summer, homeowners in Moyock can expect a better deal on their fire insurance. The Moyock Fire Department has earned an improved insurance rating, which translates to lower fire insurance rates for homeowners. The new rating goes into effect in Aug. 1. 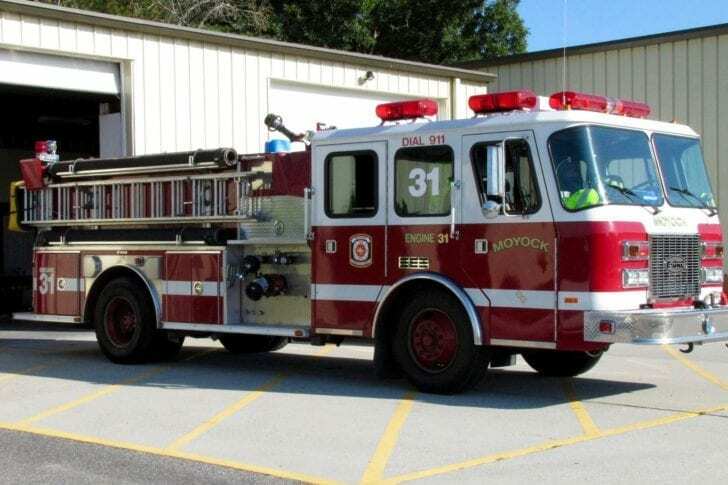 Following a routine inspection by the Department of Insurance’s Office of State Fire Marshal, the Moyock Fire District’s insurance rating dropped from level 9S to level 5, which is a good thing. The rating system ranges from one (highest) to 10 (not recognized as a certified fire department by the state), with most rural departments falling into the 9S category. While lower ratings do not necessarily indicate poor service, a higher rating suggests that a department is overall better equipped to respond to fires in its district. Higher ratings can also significantly lower homeowner’s insurance rates in that fire district. Among other things, the routine inspections look for proper staffing levels, sufficient equipment, proper maintenance of equipment, communications capabilities and availability of a water source. “I’d like to congratulate Chief Pervere for the department’s performance and for the hard work of all the department members,” said Mike Causey, North Carolina’s insurance commissioner and state fire marshal. State law requires officials to inspect departments serving districts of 100,000 people or fewer, which makes up all but 12 of the state’s fire districts. Chief Pervere credits the success of the Moyock Fire Department to its members. “These selfless volunteers give freely of their time and efforts to ensure the safety of the citizens of Moyock; without their dedication and hard work, Moyock would not be able to offer the high-quality service it does,” Pervere said. Congratulations also due to Corolla Fire and Rescue which just improved it’s rating to a 5 and was within a hairs breath of a 4. How about a shout out for CFR? !